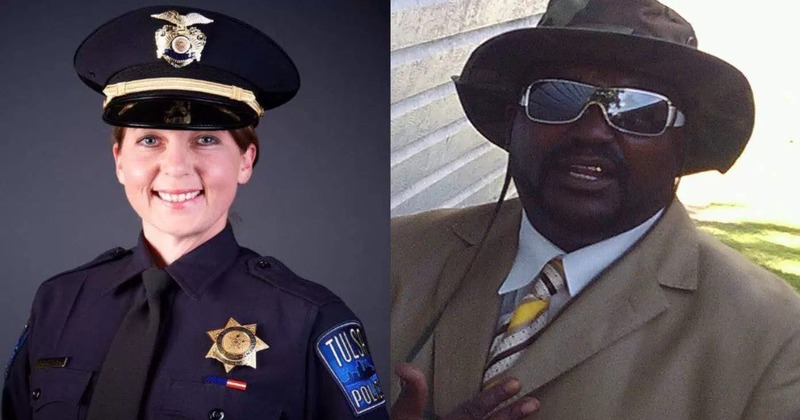 The female police officer who opened fire on an unarmed black man in Tulsa, Oklahoma has been found not guilty of manslaughter. Despite clear video evidence which showed Officer Betty Shelby opening fire on a retreating Terence Crutcher, the Oklahoma Jury returned the verdict and cleared the officer of all charges. The family of Crutcher were outraged at the verdict – how could clear video evidence showing a police officer opening fire on an innocent man be anything but murder? In fact, the case of Crutcher should have been clear-cut. Police were called to the scene of a stalled vehicle in September of 2016. Once there, police discovered a black man who, upon being directed by police to lay on the ground, began walking slowly from police toward his car, hands up. As Crutcher’s sister later testified, she suspected that her brother was simply attempting to put his hands on his car, a safe measure her father had taught his children when dealing with police. Officer Shelby reportedly panicked that Crutcher wasn’t listening to her commands and immediately opened fire, killing Crutcher. Later, Shelby would argue that she was terrified of the man she killed, that she thought he had a gun, that she thought she was reaching toward a gun in the car, that she was temporarily deaf and did not see her fellow officer deploy a stun gun on the man, and was generally just shaken up by the whole ordeal. Poor thing. At the time of the murder, the media sympathized with Shelby, saying that in the shooting, there had been two victims. Of course, one of the ‘victims’ was alive and had killed the other, but semantics, right? Shelby’s boyfriend, a fellow officer who was in a helicopter capturing the scene from above, referred to Crutcher as a “bad dude,” despite the fact that Crutcher had committed no crime. When Shelby was charged with manslaughter for her clear abuse of power, activists rejoiced. Would we find justice at last? But as Crutcher’s unfortunate family discovered this week, there would be no justice for Crutcher’s death, nor the death of so many black men and women at the hand of incompetent, power hungry police officers.